Dash Lights not working. Cant see my dials in the dark! Make sure the light switch is turned full clockwise. I should have read the original post properly. Thanks JMC. Last edited by BenHar on Tue Jun 14, 2016 1:17 pm, edited 1 time in total. BenHar wrote: Make sure the light switch is turned full clockwise. dan_lboro wrote: I tried rotating the head light nob clockwise. Cheers, I will have a go and let you know how it goes. If you Got "Haters",Then your doing something Right! Not yet. Will do. Thanks. I understand that there are 2 dash bulbs, so assuming they are both wired in series then it sounds like it could be a fuse. Checked the fuse and that was ok. Then I took the cover below the steering wheel off to access the headlight switch and found 2 bulbs, which work with the headlight switch so I'm 99.9% sure these are the bulbs. Those are the bulbs to illuminate the headlight leveling knob. They are on a separate circuit from the dash lights. Follow the intsructions in the link I posted to check what's wrong. BenHar wrote: They are on a separate circuit from the dash lights. They're not , you know! They're on exactly the same circuit as the instrument cluster illumination bulbs, so you can eliminate any problems with switches, fuses and dimmers. It's the foglight/main light switch illumination bulb that's separate. The fact that one of the leveller bulbs is blown shows that the bulbs are reaching their design life, so I suggest you buy two 3W (NOT the more common 5W version) capless bulbs, and change them anyway. Thank you very much for the help. I finish early on fridays, so planning on getting some new bulbs and stripping the dash back so I can see whats going on. Will keep you posted on how it goes. They're not , you know! They're on exactly the same circuit as the instrument cluster illumination bulbs, them anyway. Why don't they dim with the dashlights then? More than likely the switch, I had that issue on mine a year or two ago, I don't remember the details, but bridged two connections in the plug that goes into the switch and I had my dash lights back again, worked ever since, but you do lose the dimmer facility, i am not worried about it,i have never in all the years of driving my beemer, had to dim the dash lights. E30's are not built, they are born in the wild. I would like to know the answer to this. Seems odd to me. Partial apology offered! 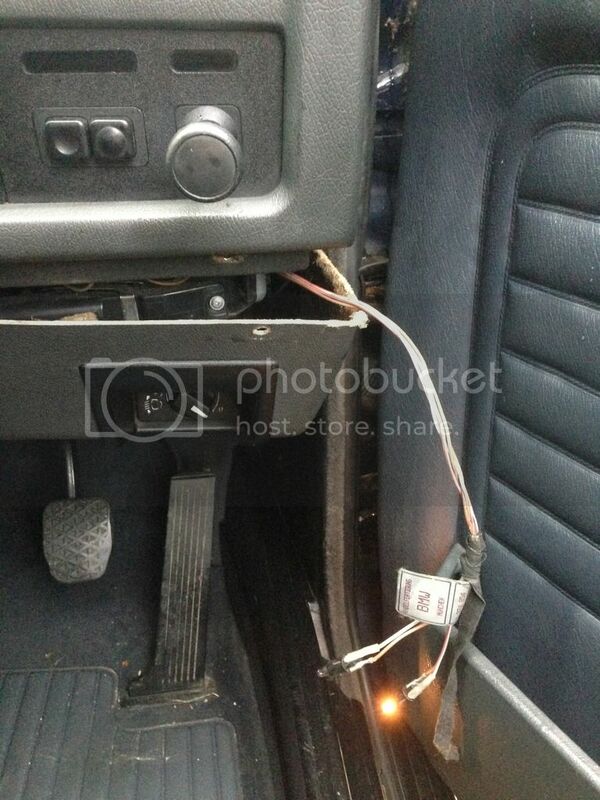 I would have sworn that these bulbs dim with the other dash lights on an E30, but I checked on a loom today, and the earth return from the bulbs does indeed go to a plain brown earth wire, and not the brown/white dimmer wire, so I will have to amend my circuit diagram. The supply to the bulbs is on exactly the same circuit as the cluster illumination bulbs, so fuse and switch are all OK, but the circuit isn't completed through the dimmer, as it is for the cluster bulbs, so pulling out the rear ashtray bulb holder and shorting the brown/white wire to it to a good body earth with the lights on, and seeing if the cluster light up is the way to go. You're correct that the broken links are as a result of the upgrade, and I don't think there's a simple solution to general forum links, but this works for old wiki links: "You just need to take out the zone part of the /e30zonewiki/ to get a link working again." I plan to read it all by tomorrow and have it memorized sometime on Monday. I can confirm that removing “zone” from “e30zonewiki” definitely works and I thank you again. I hope you don’t mind if I create a separate post for others encountering the same challenge. May I please confirm the part number for the bulb below? 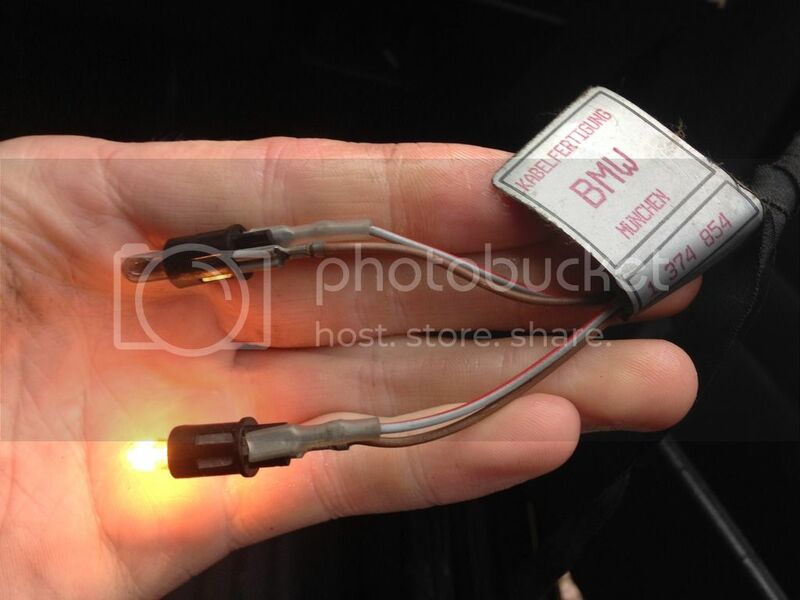 504 is the 3W lamp for the instrument cluster general illumination. The lamp in your pic. is a 286. These numbers are the general type number, just like H1 is an E30 headlamp bulb, and a H3 is for a foglamp. I fixed my dash lights while I had the instrument cluster apart. I can see the speedometer at night! I’ve replaced all of my instrument cluster lights now. Hopefully that’ll be good for a long time! They seem very bright, do you have the correct wattage bulbs ? It is important as they can cause serious damage .